Polo is a rough and tumble sport and injuries are bound to happen. A first aid kit is a necessity on any farm and is often something you should have handy before you need it. Build a kit for both the barn, and the trailer, so you’ll always have what you need, when you need it. The list I’ve compiled below I made with caring for the horses in mind, but many of these can be used for humans as well. Elastikon, vet wrap, standing wraps, shipping wraps, even a polo wrap can be used in a pinch. You’ll want to have something flexible available in case you need to wrap an open wound or poultice. Scissors are vitally important for cutting duct-tape, elastikon, or electrical tape. Should you find yourself needing to put a wrap on your horse in a hurry, having scissors to be able to cut the elastikon or duct-tape will make things easier. Everything from dousing a hot horse with water or letting them drink a bit of water, to soaking hooves or even using as a first aid kit container, buckets are essential. 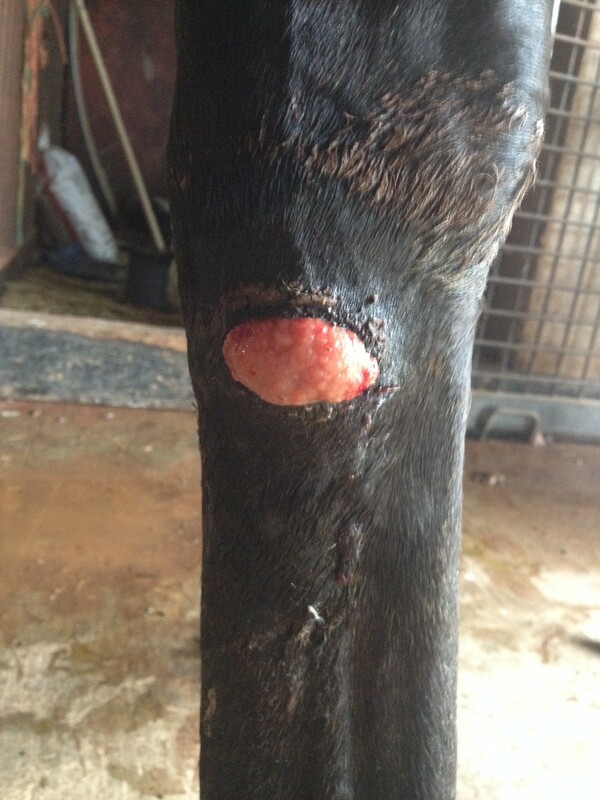 Horses always seem to injure themselves at the worst time, and night is no exception. Keep a flashlight with charged batteries available for inspecting wounds in the dark. Tweezers can be used to pick off ticks, remove shards of wood, or just get into tight places your fingers can’t fit. Help to cool down a hot horse or apply immediate cold to swollen limbs. Keep a jar of vaseline in your first aid kit for assisting thermometers getting to where they need to go or use it for sunscreen on horses with white noses or on burns/fresh skin to protect and encourage hair to grow back. For disinfecting scissors, tweezers, or thermometers. Do not use to disinfect wounds as it can dry out the skin you want to heal. On scrapes and cuts on the leg, you’ll disinfect it, cover it with non-stick gauze, and then wrap what you can with a roll of sheet cotton. This provides some cushioning, protects the area from getting dirty, and holds the gauze in place. Betadyne is a beautifully gentle disinfectant. Always disinfect more than you think you need to. Sterile, non-stick gauze will hold any antibiotic ointment, or simply to cover an open wound and protect it from getting dirty. I prefer using the non-stick version so I don’t tear off new skin when I replace the bandage. Always a good idea to wear surgical gloves when dealing with blood or treating a wound to prevent infection. A rectal thermometer is essential for taking a horse’s temperature. Wire cutters can be handy if your horse gets caught up in wire fencing, or even hooks and bucket handles. Bottled sterile water is good to have on hand for flushing debris out of eyes, or open wounds. A non-steroidal anti-inflammatory, Phenylbutazone can be used like aspirin. It can bought in an oral paste, or an injectionable solution. Use it to provide pain relief, and reduce fevers. Usually a twitch is a long wooden pole with a loop of rope at the end. This loop is slipped over the horse’s nose as the pole is twisted until the rope tightens down around the soft upper lip. While this may seem cruel, it is certainly effective for situations in which you need to immobilize the horse for it’s own and your safety. A poultice is a thick solution that is applied to swelling in an attempt to draw out the inflammation. Acepromazine is a strong tranquilizer and should only be used at the discretion or at the direction of a vet. Another non-steriodal anti-inflammatory, flunixin is more agressive at targeting inflamed tissue and is usually used in the treatment of colic pain, join disease and to alleviate fevers. A side effect of administering flunixin is usually diarrhea, which also helps in some cases of colic. Did I miss anything? 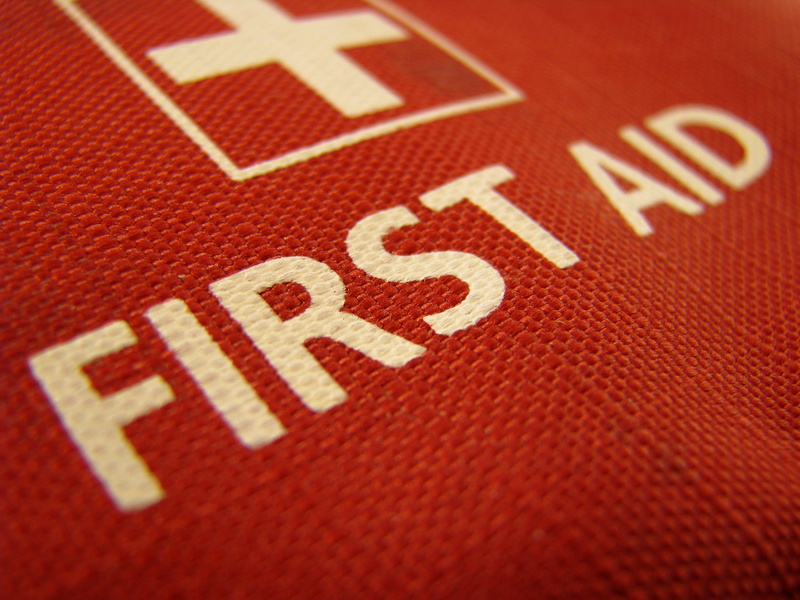 What do you have in your first aid kit? A bottle of tequila?